1 CORINTHIANS 7.1-9 SKETCHING. PABLO and THE TESTOSTERONE BY FABIAN MASSA. In chapter 7 of 1 Corinthians, the Apostle Paul makes a rather polemical statement: "As for the things of which ye wrote me, it would be well for a man not to touch a woman" and in verse 7 he says: "I would rather that all men should be like me (without sexual desire); but each one has his own gift of God, one to the truth in one way, and another to another. " The lack of sexual desire in man, which in the more traditional and closed evangelical circles is transmitted as a matter of holiness, virtue and "God's gift" is in fact a health problem, which lies in the absence of desire sexual in the male , whose most common cause is low testosterone production . 7 I would rather that all men were like me; but each one has his own gift of God, one to the truth in one way, and another to another. The Apostle lived his lack of desire as a gift and not as a health anomaly, which explains why I wished him the same thing that happened to young people in the following two verses: "I say to singles and widows, how good it was for them to stay like me; 9 but if you have no gift of continence, marry, it is better to marry than to be burning. " So if you have sexual desires, give glory to God that you are healthy and able to have a good marriage and to form a happy family. 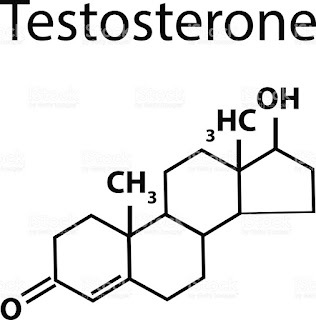 SEXUALITY AND HEALTH, TESTOSTERONE, MARRIAGE.